"Simple, Quick & Very Effective!" 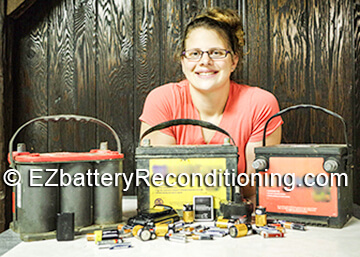 The EZ Battery Reconditioning™ program is the easy to follow, step-by-step system to recondition all kinds of old batteries with just simple supplies you probably already have in your home. 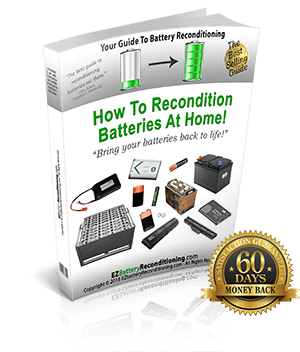 I can't believe how simple your reconditioning steps are! 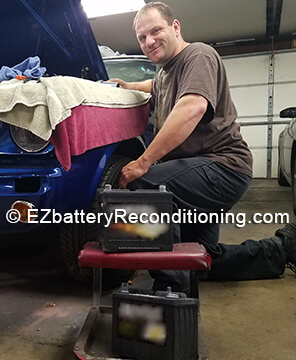 My old (and once dead) car batteries, cell phone battery, drill battery, camera battery and tons of other batteries are all reconditioned and working great again! 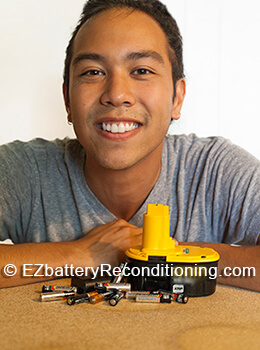 Since starting your program I've saved over $400 on batteries! Tom, your plans are great. 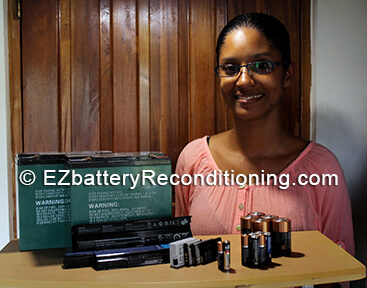 I was able to bring my laptop batteries and several other types of batteries back to life with your methods. Your instructions are very easy to follow. I have a few more batteries I'm going to recondition today also. I still can't believe how great this worked. My drill battery, several AA and AAA batteries, and my camera battery work great again! This is super fun to do too. I was curious about your program so I decided to try it out after hearing from a friend how well this worked for her. I'm so glad I did! 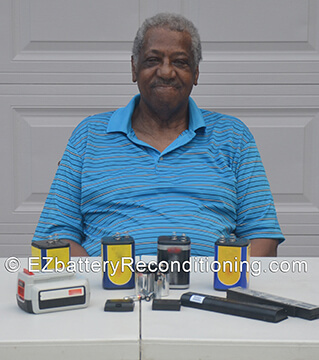 I've reconditioned 17 batteries with EZ Battery Reconditioning, even an old car battery I thought was long gone. My son likes using your program too! This is a skill everybody should know! Thank you, Tom and Frank. 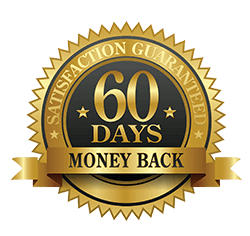 Join 19,541 Happy Customers Right Now! 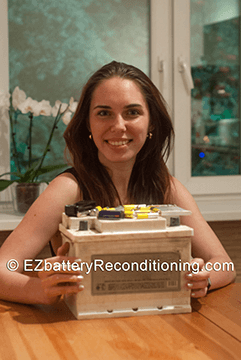 Then on the next page you’ll gain INSTANT access to the entire EZ Battery Reconditioning program and the step-by-step battery restoration guides. You can save hundreds of dollars this year alone on battery costs …and even more over your lifetime.